Combining global and local best practices, the core subsidiaries and affiliates of MSIG Holdings (Asia) Pte. Ltd. across ASEAN, Hong Kong, Australia and New Zealand, have been providing general insurance solutions for more than 100 years. As an established leading insurer with a long-term perspective, we aim to offer insurance solutions that are effective, efficient and simple to understand; delivered with active and sincere service. Across the region, our 4,500 employees go above and beyond to add value to the business and lifestyle of our customers and inspire confidence in them. MSIG is backed by the solid foundation and rich heritage of Mitsui Sumitomo Insurance Company, Limited, an established insurer that has received strong financial ratings from leading rating agencies, including Standard & Poor's and Moody's. Today MSIG is one of the few foreign-based general insurers to have representation in every ASEAN country, a testament to its strength and reach. MSIG also benefits from being a member of MS&AD Insurance Group - one of the largest general insurance groups in the world. Leveraging on the multi-channel distribution, strong partnerships with intermediaries and extensive geographical network, we offer a wide range of insurance solutions across personal and commercial lines while building, nurturing and forging enduring relationships and close partnerships through good times and bad. 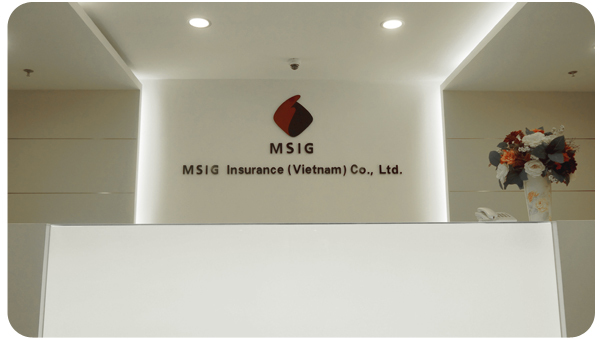 MSIG Vietnam is a subsidiary of Mitsui Sumitomo Insurance Company, Limited ("MSI") within MS&AD Insurance Group ("MS&AD Holdings"). As the insurance that sees the heart in everything, we are committed to help consumers and businesses cope with risks to protect what they care about. 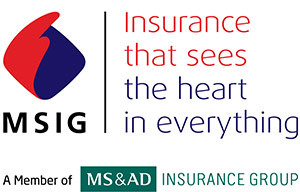 In doing so, MSIG Vietnam offers protection benefits from a range of innovative insurance products and solutions while putting customers at the heart of it all. This promise is backed by the financial strength, committed partners, dedicated service, and prompt and fair claims settlement that comes with more than 100 years of industry and market expertise. Our portfolio spans across property, marine cargo, liability, engineering, and other classes of casualty business in the commercial insurance line, and home and contents, motor, personal accident and travel in the personal insurance offerings. From individual customers to commercial businesses, the range of insurance products, solutions and services are flexible in responding to challenges from evolving market conditions. Headquartered in Hanoi with a branch in Ho Chi Minh City and Representative Offices in Hai Phong City, Da Nang City, and Hung Yen Province, we are dedicated to provide protection that makes a significant impact to the business and lifestyle of its customers. About MSIG Holdings (Asia) Pte. Ltd. 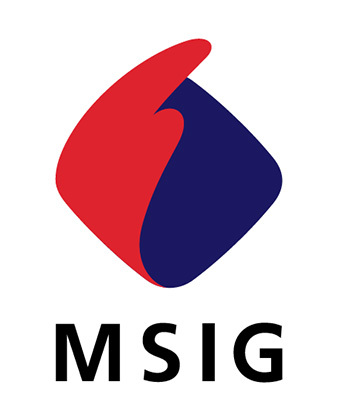 Located in Singapore, MSIG Asia is the regional holding company and a subsidiary of Mitsui Sumitomo Insurance Company, Limited within the MS&AD Insurance Group. MSIG Asia is helmed by Chairman, Mr Hideyuki Tanaka, and Regional Chief Executive Officer, Mr Alan J. Wilson. 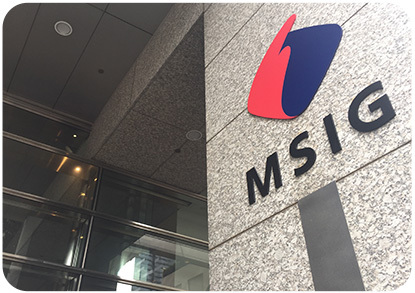 MSI was formed in October 2001 through a merger between the former Mitsui Marine & Fire Insurance Co., Ltd.(Mitsui Marine) and the former The Sumitomo Marine & Fire Insurance Co., Ltd. (Sumitomo Marine). Mitsui Marine and Sumitomo Marine were leading non-life insurance companies boasting long histories, having been established in 1918 and 1893, respectively. MS&AD was formed in April 2010 from the business integration of the Mitsui Sumitomo Insurance Group Holdings, Inc., Aioi Insurance Co. Ltd., and Nissay Dowa General Insurance Company Co., Ltd. Today MS&AD is one of the largest general insurance groups in the world with presence in over 40 countries and regions, 17 of which are in Asia. Based in Japan, MS&AD is active in five business domains, namely domestic (Japanese) non-life insurance, domestic (Japanese) life insurance, overseas business, financial services business and risk-related business.